Every now and then we come across families that are doing a magnificent job at helping kids embrace, encourage and empower the love for animals and their habitats. Today we wanted to introduce you to the Curren family from Pierce’s Scaly Adventures, an Internationally broadcast television series for children and families that focuses on offering positive, educational and COOL programs for kids - especially teens! 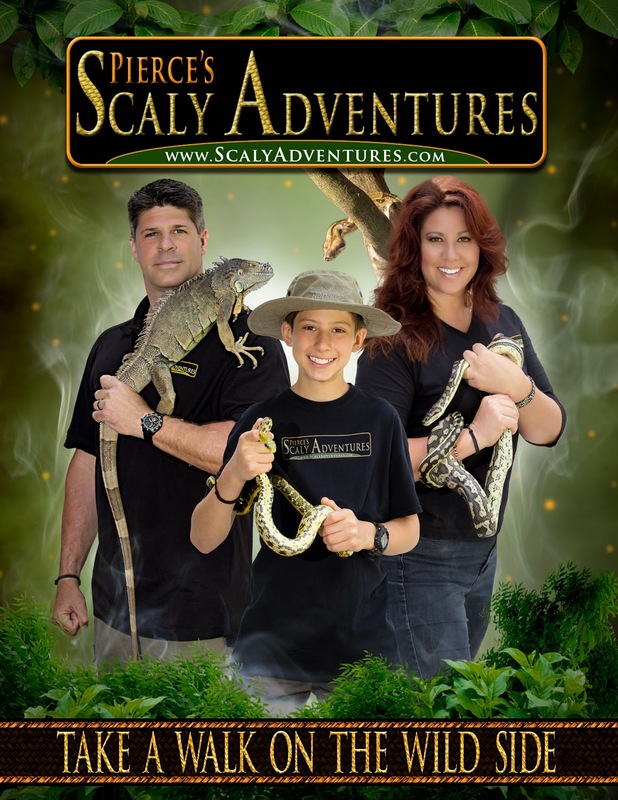 The Scaly Adventures Crew, composed of Pierce, Tanya and Rick Curren, travels the world featuring many different animals, as well as their own 32 reptiles. The purpose of the show is not only to teach what reptiles are really like, but also to inspire kids through family-friendly programming. Each episode focuses on teaching kids how they should "interact with, care for, and protect animals." They are passionate about inspiring kids to follow their dreams, overcome their fears and to live a life of passion. If you have a teen or a little one that is obsessed with earth science, biology and zoology you should definitively check the Scaly Team at www.ScalyAdventures.com and if you have a DVR, you can search "Scaly Adventures" to record their series. They have 24 episodes in rotation now and they have 10 new ones airing this fall. In May, they'll be filming with the Douglas County, GA K-9 ! Unit and SWAT team, and last season they filmed with the Marietta, GA K-9 Unit, so they have a big reach in GA. They will also be filming at Zoo Atlanta this season.